Do you have any 2019 fitness goals? How about running in multiple local races to support a number of local groups and charities?? Now you can! Please join the Rolla Multisport Club for our 4th Annual Race Series. Thanks to our partner Split Second Timing, we are excited to get you competing in multiple races for amazing prizes. This sounds AWESOME!!! How do I join?? First—the series is only open to RMC members. But joining is FREE! Go to rollamultisport.org and click “Membership.” How is it free?? As a 501 (c)(3) charity, all donations to RMC are welcomed and tax deductible. Finally—RUN HARD! Collect points, come to RMC meetings (first Thursdays of the month, 6:00pm, Public House in Rolla! ), join us for the Pub Run at 5:30pm, hang out with cool people, and, at the end of the year, collect your amazing prizes!! Awards: The winners of the race series will be in 2 categories: Male and Female overall 1st, 2nd, and 3rd places; awards will be presented at the final RMC meeting of 2019. All runners who at least qualify for award consideration by completing the required number of races in any one category will receive the official RMC Race series t-shirt and be in the running for several prizes. Official Times: Only the official published times for running events may be used (not the time on your watch or your estimated time). 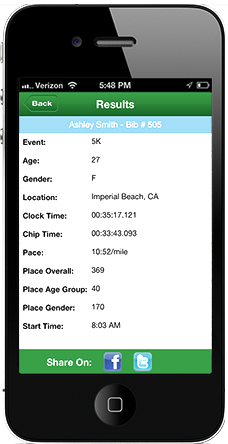 Grace Period: There is a 30-day grace period for counting an individual's races once the entry fee is paid. Once the fee is received by Split-Second timing, only those races run the 30 days prior will qualify. T-Shirt Eligibility: Paying the Race Series entry fee does not automatically guarantee a t-shirt to the entrant. The t-shirt is a "finishers" shirt awarded only to those who complete the required number of races, which is at least 3 races.